Subject: You deserve an A+ for your generosity! You deserve an A+ for your generosity. 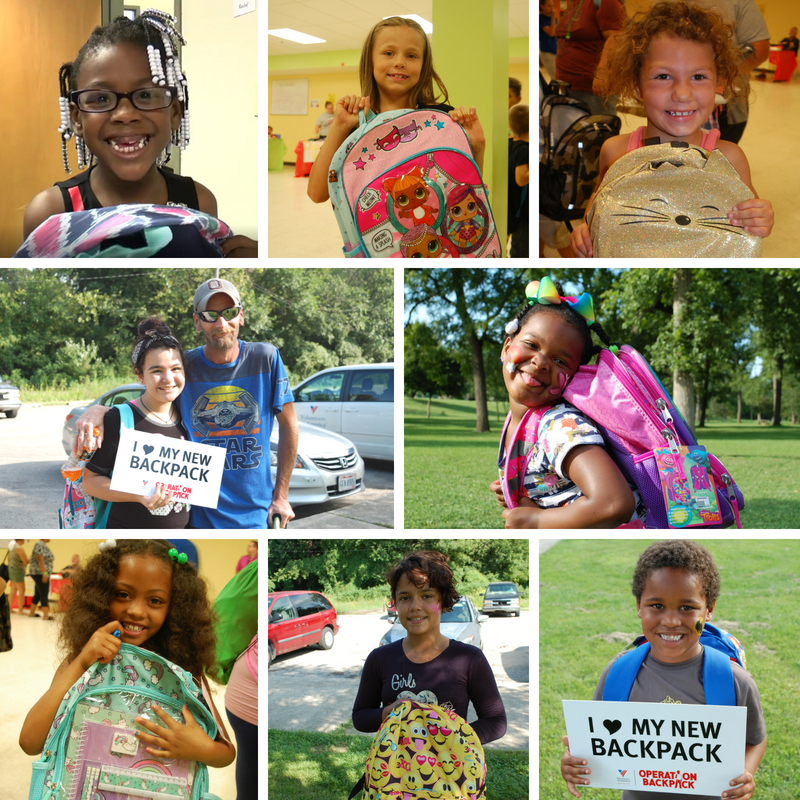 It’s a happy new school year for more children, because of you! 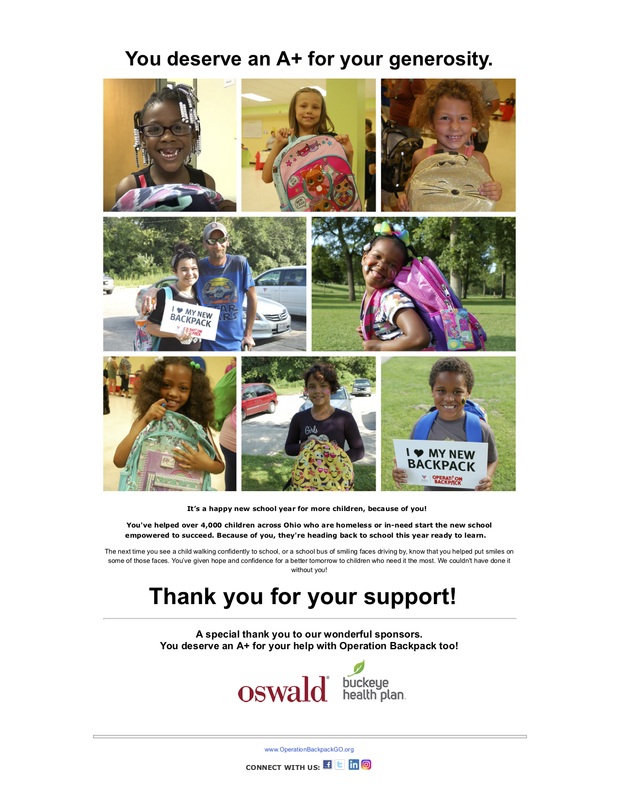 You’ve helped over 4,000 children across Ohio who are homeless or in-need start the new school empowered to succeed. Because of you, they’re heading back to school this year ready to learn. The next time you see a child walking confidently to school, or a school bus of smiling faces driving by, know that you helped put smiles on some of those faces. You’ve given hope and confidence for a better tomorrow to children who need it the most. We couldn’t have done it without you! A special thank you to our wonderful sponsors. You deserve an A+ for your help with Operation Backpack too!